The Youth Film Contest was looking for young filmmakers (21 and under) to tell stories about breaking boundaries, wherever that may apply in their lives. In the world of elite competitive snowboarding, freestyle and freeskiing, athletes challenge themselves to push the boundaries of creativity and difficulty to be the best in the world in these sports. It seemed like a really good opportunity for not only AK and Jack to get some exposure, but for Jack, who plans to attend Montana State’s Film Program next fall, to also make his first ever documentary-style film. Since Jack had torn his ACL at Mammoth two days before the end of the season, his recovery time gave him plenty of time to focus on a Breaking Boundaries film, which took him 30-40 hours to complete. So, AK and his mom drove up to Bozeman from Park City, the guys shot a bunch of interview footage, and AK brought up a big flash drive of all of his favorite skiing shots. The two talked about the vision, how they really wanted to lay out their focus, and how the video was going to play. Jack’s take on ‘Breaking Boundaries’ had a lot to do with coming from Montana. “My side of breaking boundaries in slopestyle skiing was the pursuit of becoming a slopestyle skier coming from Montana because, like I said in the movie, Montana is known for world class powder skiing, or the big mountain lines, or a tourist destination, but really doesn’t have ample venues for slopestyle skiers to train on. Being able to come through Bridger Ski Foundation (BSF), huge shout out to them; they were one of the biggest reasons why I was able to continue pushing my skiing abilities and keep professional skiing in my scopes because they were giving me the opportunity. Coming from a place not Park City, or not Breckenridge, Colorado, or an East Coast ski academy, but coming from Montana but still bringing a lot of ability to the table and a lot of drive definitely set me apart. Jack finished his Senior year of high school in the fall of 2017. He took nine classes from Bozeman High School, going to school from 7:30-3:30 with an online class on top of that, so he could graduate in January. The very day he graduated from high school, he drove to Park City to live with one of his best friends, Charlie Stott, and join the Park City Ski Club. All the hard work and fun filming paid off big when Jack’s film was chosen as the WINNER of The 2019 Breaking Boundaries Snowboard, Freestyle, and Freeski World Championships Youth Film Contest! Winners were selected by a panel of judges including contest partners The Park City Summit County Arts Council, the Park City Film Series, U.S. 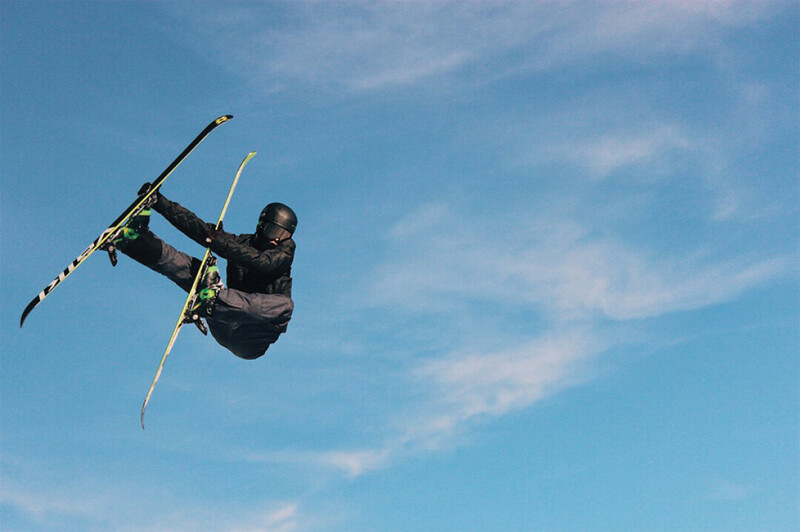 Ski & Snowboard, and Park City freestyle/freeski athletes and other leaders in the arts and film community.